I don’t know about you, but here it’s been a really crazy/rough week and I’m glad to see Friday FINALLY come! (Now, let’s hope this next couple days are relatively calm & quiet!). I spent the past two days working on my special needs group’s newsletter (I put one out every 2 months). Sometimes this process goes together very smoothly . . . and sometimes it doesn’t. Wednesday I began the process of copying clipart pictures from my old 3 1/2 inch floppys to the newsletter; inserted the first floppy (number 3) in my (about 5 month old) external floppy reader and copied two scrolls from disc to newsletter. Took out disc, inserted next one (number 6) and waited for contents of disc to appear on my screen – they did, except they were the contents of DISC 3, not disc 6! Took it out, tried again (repeat about 4-5 times here), then called in my husband (the general ‘all things computer’ fixer). He ‘did his thing’ and finally announced that he wasn’t sure just how, but the external reader had copied the info from disc 3 to disc 6 and the info that WAS on disc 6 was now G-O-N-E! Talk about frustrated! (to make a long story somewhat shorter) we tried to think of other ways to get some clipart onto the next issue which was due to be mailed ASAP! Copy to email? nope Copy to Publisher? nope Finally my very smart husband thought: “What if you brought up, on line, an older issue of the newsletter and tried to copy a clipart from that to the new newsletter?” BRILLIANT! It worked and 54 (2 sheet/double sided) copies went to the post office yesterday. YAY! Just been a really crazy week; that was just one of the incidents and I’m too tired of thinking of all the others to even repeat them – sufficient to say: I’m glad it’s FRIDAY! Oh! BIGGEST GREAT THING! I’m finally feeling MUCH stronger! YAY! I made cheese, onion & ham omelets for the guys for breakfast today then proceeded to take all the cheeses/bologna/ham/hot dogs, etc out of the cheese & meat drawer and wash it out. Now that might not sound like a big thing to you, but to me it was HUGE! I remember, a few weeks ago, noticing that the bottom of said drawer was really sticky and thinking it needed washing, but I didn’t have even the energy to do that simple task – today I almost didn’t even notice I was doing it! Thank you, LORD!!! Am getting caught up on the laundry, a lot of paperwork for the knitting & special needs groups (address lists, attendence lists, etc.) that have sort of slipped to the back while I was sick. It’s really a HUGE blessing to me that I can finally wake up, GET UP and not be in any pain or too tired to do almost anything! YAY!!! Working on more of “John’s Afghan” squares; I counted yesterday (with my 5 yr old grandson’s help) 19 completed squares and one being knit – that only leaves 29 to go (if I make 49) or even less if I wimp out and do only 42. Not a big deal – I love looking through all my knit patterns and picking out various patterns to knit – when you’re only knitting a 7″ x 7″ square, they go rather quickly. (although I must admit, last night I got kind of bored knitting this one pattern and switched to knitting another chemo cap – it sure seems different to go from knitting with size 10 needles & worsted weight yarns to using size 5 needles & sport-weight/baby weight yarns! Anyway, I digress – recipes, you say? Here ya go! cream and cilantro. Makes 24.
melted, stirring after 3 minutes. of plastic wrap, set aside. phyllo sheets & spinach mixture. with short side of triangle. and add flour, stir until bubbly. mixture and stir until melted. mixture and heat for 10 minutes. mix with soup, chili, salsa and tapioca. tortillas, torn into bite size pieces. with 1/3 of onion and 1/3 of grated cheese. on low 6 to 8 hours or high for 3 hours. Garnish with sliced black olives. out inside of loaf, making a shell. into loaf shell and spread evenly. place top of loaf back on bread. Wrap in foil, bake 20 minutes. vanilla.Fold in 6 cups cereal and peanuts. squares. Makes 4 dozen squares. sides up to form a star shape. Pour into buttered 9 x 13 pan. way IT decides to do, not mine so I’ll wrap this up. Have a very HAPPY (and SAFE!) NEW YEAR! Here it is, two days past Christmas already! 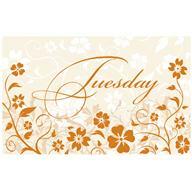 (My brain is still on Monday – not sure why, but without all my ‘usual’ meetings, I’m kind of lost on my days!) Yesterday’s belated Christmas dinner was great – my oldest brought his ‘cheesy potatoes’ (he said he features them on his banquet menu, at his restaurant) were WONDERFUL! I’d never had them before – he puts 4 different cheeses in them then tops them with butter & panko bread crumbs; to say I ‘pigged out’ would be an understatement. For a diabetic, lots of carbs ( potatoes) is a no-no, but I just couldn’t resist! He even added a little bacon, which just put them over the top. Since we decided that our meal would be a bit scaled-down (because I over stressed myself on Thanksgiving dinner), this meal was a feast AND a treat. Everything came together just perfectly, the meal was casual – eat a little, chat a little – sit back & ‘digest’ a little, then go back to ‘snacking’ again. Great food, great time. Here in Michigan, we had a GREEN Christmas – no snow. HOWEVER – – – today is another story! It’s the PERFECT temperature for snow: 32 degrees F. and we’ve had a constant downpour of the ‘powdered sugar’ snow – that really fine snow that looks so pretty. (my husband just informed me that we’re not supposed to get the really heavy snow until after 3 p.m. – it’s only 12:45 right now) The good thing is: it’s not sticking to the roads! YAY! (we read the weather report last night which said: snow conditions: 100%, so we weren’t surprised – now I just hope it doesn’t get the idea to keep doing this and getting heavy – THEN I might get upset some! (not that I have any earth-shattering things to do today). I’m beginning the preparations for the special needs group newsletter for Jan-Feb. We do the SAME things every month, pretty much, but our ‘kids’ get upset if they don’t have the calendar for that next 2 month segment, so I’ve got my work cut out for me for the next few days. (it’s a 4 page newsletter with lots of clip art). Combine cornmeal, milk, and egg. then on Low for 3 hours. On a serving plate, spread two pkg. over cream cheese layer to within 1/2 in. cream cheese & sour cream until smooth. Spread over blue cheese layer to within 1 in. before serving. Serve with breads or crackers. pecans, confectioners’ sugar and cocoa. into crumb mixture. Shape into 1-in. balls. and process into a paste consistency. about 3 to 5 minutes. Serve warm. butter and brown sugar; add egg. mix well. Stir in the raisins, apples and nuts. Drop by teaspoon on ungreased cookie sheet. and milk. Spread over cooled cookies. until desired length of log is reached. more than 3 to 4 hours. Serves about 10. & green pepper; cook until tender. Add garlic; cook one more minute. 5 to 10 minutes or until cheese melts. sticks into a 1 gallon zip lock plastic bag. bag aside for 8 hours or overnight. and spread out. Place in oven; bake 45 minutes. Spread in  9x9 inch baking dish. Mix cheddar and cream cheese together. Pat out rolls on to  1/8 inch thick. meat mixture. Bake 30 minutes. good in tacos ,burritos, or nachos. Mix all in pan. Bring to a boil. Cover. ones to offer - will try to correct that soon. every day - more energy - FINALLY! We spent a rather quiet day; Kris & family came over around 2 and we all munched on a veggie tray, chips & dip, a wrapped brie & crackers, pumpkin pie, chocolate cake & varied slices of cheesecake. Today is the actual dinner at 5; this year (because I was sick) we’re varying the menu a bit and making it simpler: baked ham, mashed potatoes & gravy, Kris’s cheesy Au Gratin potatoes, corn casserole, rolls and a spinach tossed salad (spinach, sliced red onions, croutons, craisins, slivered almonds and feta cheese with a raspberry vinaigrette/poppy seed dressing. Lots of food (a little lighter than usual, but that’s OK, too!). I got to watch (parts – I fell asleep for a bit) of the Kung Fu Panda movie complete with video clip inserts of Jack Black, Dustin Hoffman and other actors playing their parts. I love seeing the ‘live people’ being filmed while they’re doing their ‘voice over’ parts – lots of fun. I find Jack Black a rather interesting character actor; he was excellent in the movie I watched last week (it was rather a ‘sleeper’, but I loved it): “The Holiday”. Great movie: Cameron Diaz, Jack Black, Kate Winslet, Jude Law (cameo by Dustin Hoffman), Eli Wallach – as my guys would say: “It’s a ‘chick flick’ – but I really enjoyed it. Hoping you all had a joyous holiday and are able to have a great day, today, too! PS: Here in good old Michigan we had a ‘green’ Christmas-no snow and about 45 degrees; same today – lots of sun, 41 degrees F.
Hoping you are all ‘done’ with all of your preparations/plans/wrapping/baking/etc. ; right now there’s a pumpkin pie in the oven (for tomorrow). Finished all the ‘stuff’ I needed to get done: lights & garland on mantle/manger on mantle; living room cleaned up, diningroom table cloth washed, Happy Birthday, Jesus cake baked & frosted (tradition every year in our family). Only things left to do are wrap presents and stuff stockings – but that comes MUCH later when the boys are in bed. The trouble with that is – now that they are much older (17 & 22) their bedtime is sometimes later than mine! I’m feeling a little better each day, not as much coughing or fatigue – am hoping to be able to sing with the church choir in the morning, but we’ll see . . . Recipes, you say? Even at this late hour? Why sure! Have more of those for you! over low heat, stirring constantly. eggs & sugar until creamy. Break or cut graham crackers in half. half. Top with a marshmallow. the sides and bottom of the bowl. Cook potatoes in boiling water 20 min. taste; serve at room temp. of pan. Bake 10 minutes. extract in large bowl with elec. until center is almost set. Cool. pan before cutting to serve. of Cool Whip and a candy cane. baking dish, turn chicken to coat. upon the chicken pieces used. or High 4-6 hours or until done. eggs & salt until well blended. Melt chocolate in double boiler over hot water. hot water. Press remaining nuts into top. nuts are cool to the touch, separate them. in an airtight glass container. Makes 2 1/2 – 3 Cups nuts. the foil cover from the crust and bake another 15 min. There is a story about two frogs who fell into a can of cream, or so I’ve heard it told. The sides of the can were shiny and steep; the cream was deep and cold. “O what’s the use!” croaked Number 1, “Tis fate, no help’s around. Good-bye my friend! Good-bye cruel world” and weeping still, he drowned. But Number 2, of sterner stuff, dog-paddled in surprise, all the while he wiped his creamy face and dried his creamy eyes. “I’ll swim a while, at least,” he said, or so I’ve heard he said, “It really wouldn’t help the world if one more frog were dead.” An hour or two he kicked and swam, not once he stopped to mutter, but kicked and swam and swam, then hopped out on the butter! So, do not be discouraged with what life has thrown at you. Keep the FROG in mind and you will come through, too. too will come out on top one day! Of course, when I finished reading the story, I was crying! It was just what I needed JUST when I needed to hear it! People tend to not want to admit when they’re struggling – and lately I’ve been struggling – not with the cancer diagnosis, but with the fact that I can’t DO things like I used to. I realize that it will take TIME to heal, but somehow my brain wants to just forget that part and MAKE my body respond like it used to – that doesn’t work and just ends up making me overly tired and frustrated, so you see why this story above was greatly needed right now! I’m a stubborn person who has, for the most part, relied on myself throughout my life. Not that I don’t believe in the Lord and ask for his help. protection and guidance, but like most people I tend to plod along in my life thinking I’m in control and that’s right about when the Lord gently reminds me just who IS in control of my life. I didn’t start out writing this blog today with the above message, but it all fits. Our lives are a GIFT from GOD; (sometimes I tend to forget that) we need to live our lives as best we can to give the glory back to God. Forgive me when I complain here about the cancer and struggles; I’m trying to get through this the best I can so that I CAN live my life to HIS GLORY. Why are we here? To love God and give HIM the glory for all He’s done in our lives. If you question that thought – just think – how many times in ONE DAY have you had big or little blessings happen to you? 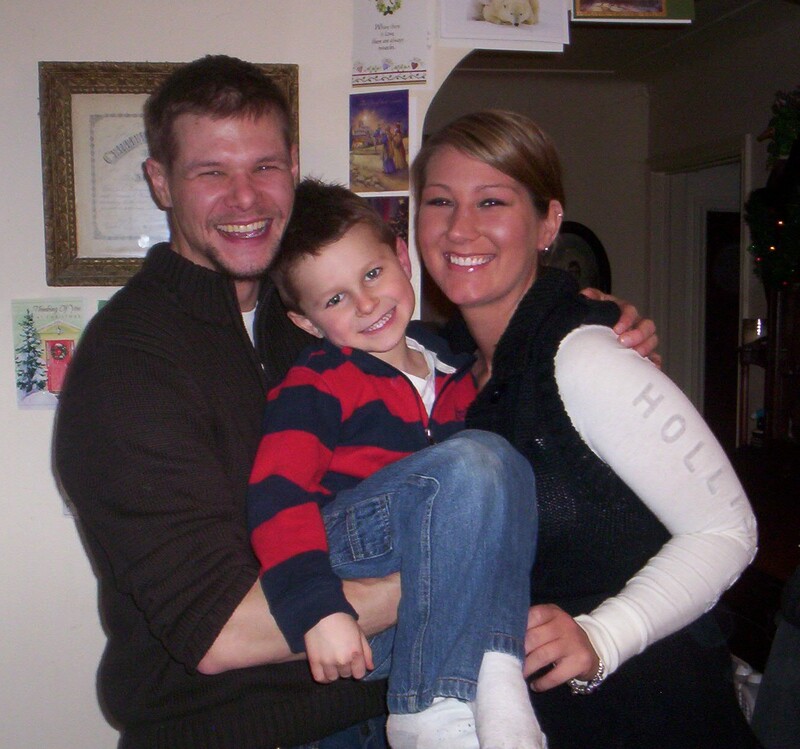 Unexpected blessings – not huge ones, sometimes just little ones – but blessings none the less. Finding something you lost (did that this morning! ), someone you’ve been thinking about calls you – little blessings or big – God LOVES YOU! Sunday Stew and other things . . .
Once again I have lots of great-sounding recipes to share. I’m smelling the beef stew on the stove; finally feeling a little bit better after getting a cold Friday so I decided to cook. I love dinners that can go for more than one meal like chili, beef stew, potato soup, bean soup, white bean-chicken chili, etc. I’m still working on trying to come up with a complete menu for our Christmas dinner; still not totally convinced but at least I think the desserts will be ok – pumpkin pie (for my husband) and a many-layered chocolate pudding/Cool Whip, etc. dessert. I thought I’d posted it, but checking my last post, it’s not there so I’ll put it here, just in case . . .
decorative green sugar over pressed cookies. nuts and brown sugar.Mix well. edge of the pie. Serves 8. Brown hamburger, onions, and pepper. to boil then pour in casserole dish. top of casserole mixture. Bake for 20 minutes. pecans. Pour into greased loaf pan. Bake 50-55 minutes or until done. oven. Pour the fat from the skillet. for 2 minutes, stirring to deglaze the pan. remaining 2 1/2 tablespoons butter. remaining thyme sprigs and whole raspberries. and drain, reserving 1/2 cup of the cooking water. chicken,  reserved pasta water, remaining 1/4 tsp. more desserts than other entries. standard' 7" x 7" squares and then sew them together. cards of varied knitting stitches and start knitting. so we'll see (there is more green yarn than red). know what it will look like until it's finished! Hoping this will be a "Happy Adventure" - we'll see! coughing. I'm feeling a little better than yesterday - YAY! 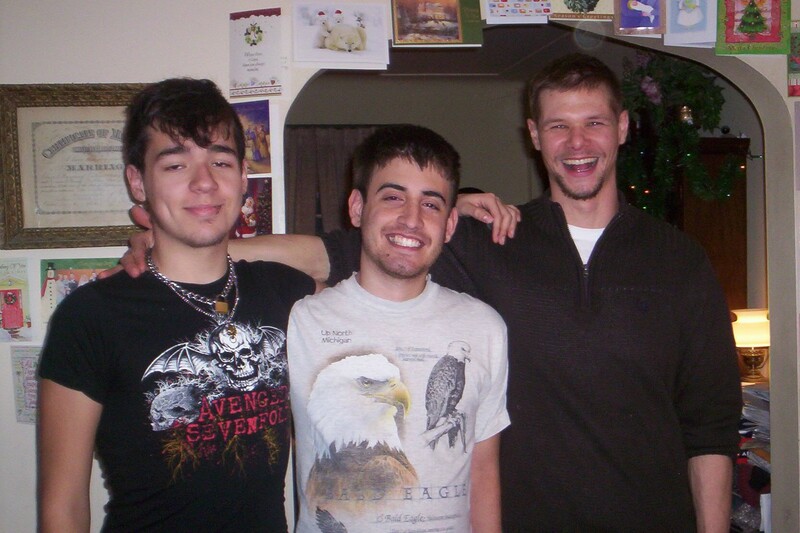 If you read my last post I mentioned our “Friends & Family Christmas Gathering” which occurred last night. Here are a few photos of the evening, taken by another of our special needs students. 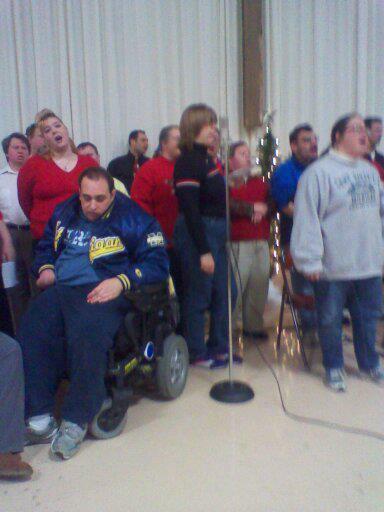 This is only part of the group (I’m hidden behind the piano), before we began to sing. 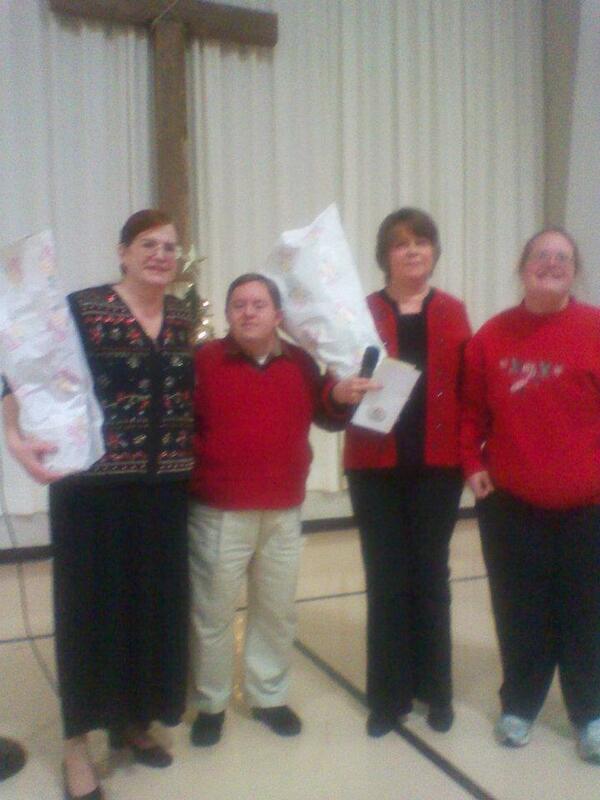 The group presented Lois, our main leader, and myself with lovely poinsettias. It was a lovely night and the Lord was truly glorified in their singing. Yes, friends – lots more recipes! Thank heavens for wonderful recipe sites that provide the recipes I’ve been featuring here. 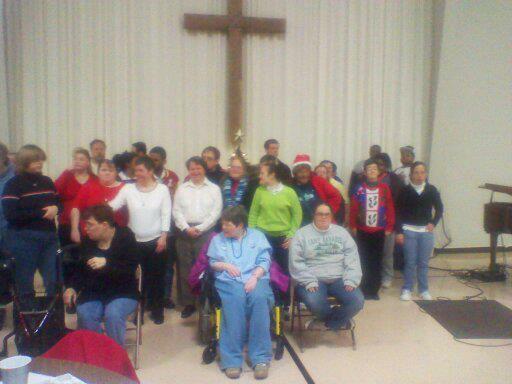 Last night was my special needs group’s Christmas Gathering and we had a wonderful time. As in years past, we never know exactly how many people will show up; we had set up for 96 (12 tables, 8 chairs each) and I’d say we, easily, had 125 people. Praise the Lord we had enough food (with a little extra): chips & veggie dip, cherry tomatoes & sliced cucumbers, (really tasty) pinwheel sandwiches and croissant sandwiches from Costco (if you ever need some REALLY GOOD/TASTY sandwiches, check them out! They come in a big tray, already made up – not exactly sure of the price, but they are well-worth it! ), and lots & lots of homemade cookies. The young teenage girls of the church spent their time last Wednesday night baking cookies for our group – what a blessing! While I was walking by the food table to see if we needed any more items ‘filled’ (like potato chips or dip) I happened to notice the cookie trays – there was ONE half of a gingerbread cookie left! I’m SURE those cookies were a HUGE hit! The evening progressed with food and fellowship followed by our program: our ‘students’ recited a verse they just learned: Psalm 138:5” They will sing of what the Lord has done because the Lord’s GLORY is GREAT!” sang 6 Christmas carols followed by our group’s all-time favorite hymn: Amazing Grace. You have not experienced the singing of this hymn until you have heard it sung by almost 50 special needs adults – I don’t think there was a dry eye in the place! It is a truly humbling experience (and I’m blessed to play the piano while they’re singing so I get to see their faces AND hear them sing.) Every year I come home totally exhausted but also totally BLESSED by the whole experience. While I was working in the kitchen beforehand I heard someone call my name and looked up. There, in the doorway, was a young man in a wheelchair – I haven’t seen or heard from him in AT LEAST 8 years. He was sitting there beaming from ear-to-ear with his arms out, waiting for a hug – that truly blessed my night! I don’t know where he’s been all these missing years but it was SO great to get to see him, give him a hug and let him know just how much we’ve all missed him. Those are the true blessings of the season! Today is the ‘first day of my new life’ – my first ‘day after radiation and treatment’! My husband mentioned earlier in the week that I’ll be able to sleep in, now that I don’t have to be to the cancer center every day Monday-Friday and sleep in I DID! (I really didn’t think I would, but finally woke up at 10 a.m.!) There’s still lots ‘to do’ – trips to the drug store, grocery store, library, etc. but I’m taking my time – NOW I can relax a little! YAY! Next up is a check up visit in 4 weeks, so I now have FOUR WEEKS to relax! VERY COOL!!! Still have a little Christmas shopping to do, but it’s mostly for stocking stuffers and maybe a little present for my boys (I’ve decided to ‘go easy on myself’ this year and give them each money – then they can buy the clothing THEY like). Yes, it’s a bit of a cop-out, but considering the way the past August-December has been in my life, I’m fully taking advantage of what my kids keep telling me: “MOM! Go EASY on YOURSELF! You’re your worst enemy! You keep thinking you need to DO EVERYTHING – RELAX, for a change – you had CANCER!” (as a well-known actress, Fran Dresher of “The Nanny” program said when she had cancer: “Cancer, Schmanser!”) LIFE GOES ON!!! Speaking of that very thing – it appears that RECIPES GO ON, too! They just keep pouring into my emails and I keep wanting to share them with you so, without further distractions – here they are! solids. Cover sauce & chill. stirring with a whisk until well-blended. minutes or until thick, stirring constantly. with plastic wrap and chill. part. Cut each orange in half lengthwise. Split ladyfingers; tear each half into thirds. 1 T. Cool Whip and 1 tsp. almonds. 8 hours, turning bag occasionally. pork into 1/4 inch slices; keep warm. with pork. Makes 8 servings. High 1 minute or until heated through. with crackers. Makes 1 1/4 C.
2 T. dip & 16 crackers each. mix apple slices with lemon juice. brown both sides, about 6 minutes total. about 30 seconds, stirring once or twice. Place 2 slices of French toast on each plate. remainder in baking pan & press down evenly. & 1/4 cup sugar. Add egg, lemon juice, 2 T.
green cherries;stir until well distributed. brown. Remove from oven; allow to cool completely. 30 minutes and cut into pieces. Place crust into 9 inch pie plate. Crimp or flute edge, set aside. eggs and salt in medium bowl. bowl often until well blended. and refrigerate at least 4 hours. Just Couldn’t Resist . . .
posting more great-sounding recipes! I must say, if I were a cook/baker this year (which I’m not due to the cancer-recovery thing) I would be sore-pressed to choose which recipes to make! There are lots of really tasty sounding desserts, appetizers and some yummy entrees as well. You look them over and see for yourself! pink; drain. Reduce heat to medium. pumpkin, spices & 1 C. Cool Whip. mixture in large serving bowl. 1 hour. Serves 12, 1/2 C. each. a large piece of waxed paper. apart into bite sized pieces. until crisp; drain, reserving 2 T.
drippings. Crumble bacon and set aside. Saute onions in drippings until tender. stir for 2 minutes or until thickened. until heated through.Yield: 8-10 servings. Melt 1 1/2 T. butter in large skillet. 1-2 minutes or until heated through. pieces; pat dry, add to skillet. vegetable mixture spooned over top. medium speed until just blended. apart on ungreased cookie sheets. cook 1 min., stirring occasionally. water to chicken mixture in skillet. 1/2 C. cheese & bacon, mix lightly. bowl; cover with Jello mixture. with whisk 2 minutes. Stir in 2 C.
Makes 18 servings, 2/3 C. each. his older brothers clothes and not returning them (sigh). eyeliner (YAY! that's something I DO use!). much younger and felt 'pampered'- very nice! he didn't even know where I'd been! kids, lots of parents & little kids. dirt road going to & from church). Hello, everyone! It’s now after 5 p.m. and I’m just getting around to writing you. Not much going on around here, only THREE more days of radiation and I’m done. I must admit, they warned me it would be rough going at the end, and they weren’t kidding. To describe the ‘fatigue’ the best way – my legs feel like they weigh 2,000 lbs each and I’m struggling to drag my body through each day BUT it will soon be OVER!!! YAY! My dear husband has pitched in and caught up the laundry, which was a BIG help. I made a batch of White Chicken Chili Soup (recipe is here in another post) yesterday so we can have that for more than one dinner. It’s funny, the first time I had it I wasn’t exactly sure I liked it, but it sort of grows on you – it’s almost become a ‘comfort’ food – easy to make, warms AND fills you up – great recipe! waxed paper until set. Makes 36.
toss well. Cover & chill 2 hours. with an elec. mixer until smooth. serve chilled. Store in refrigerator. -low 15 min or until liquid is absorbed. with cheese & mashed potatoes. Bake 20 min. or until bubbly. through, stirring until cheese melts. batter into pan and bake approx. from oven and cool on rack. Craft-wise, just finished knitting a hat for one of my special needs guys I drive each week (wasn’t sure what to give him for a present then he mentioned he lost his hat, so bingo – great present idea!) It’s a copy of the other red & white striped hat I posted a few posts ago. Still need to crochet a trellis-ribbon necklace for my friend who just finished chemo last week – she saw someone at church who was wearing one of the necklaces and said she really liked it, so another BINGO! moment for her present! This coming Wednesday is our special needs Friends & Family Christmas Gathering; just finished printing up, folding and sewing together with yarn 30 copies of our Christmas songs to put on the tables as decorations. We did this last year and the families & caregivers seemed to like it. It’s a wonderful evening for everyone: we serve a light supper – veggie trays & dips, sandwich wraps, chips and cookies which were baked by the church’s junior high school girls. Our ‘kids’ will recite a special verse, then sing 4 Christmas carols, then close the evening with our group’s favorite hymn: “Amazing Grace”. You haven’t lived until you hear almost 40 special needs students singing that hymn, they really put their hearts into it – lots of tears in the audience – it’s a great ending to a great night. Hope you’re having a good day, it’s 34 degrees here and clear with some snow on the ground (not too much, just the right amount). Have you started driving around looking at Christmas lights in your neighborhoods? The other night I saw a (new to me) sight – a family had put out ON THEIR LAWN these little white lights that looked like little balls – the whole lawn was covered with them! Not hanging lights, but on the lawn/snow lights! You could see their house from quite a distance – very pretty effect! I saw something like that featured in a catalogue but those were individual balls which each had a switch to light them and were advertised to either sprinkle in your garden or wrap string around and hang from trees – the ones I saw the other night were very uniform in their placement, almost like they might be on a sort of net? (just tried to look up ‘outdoor fairy lights’ and learned that there are some now that are ‘solar’ – they absorb light during the day and give it off up to 8 hours, at night – interesting, none the less! )I love seeing something new when it comes to Christmas lights. I remember the first time I saw (what is now a ‘standard’) lights that cycled various colors and at various speeds – or those lights which are in clear plastic tubing you can wrap around stair railings (used outside). Our house? Our house still has the ‘old’ electrical wiring and I wouldn’t DARE plug in outside lights for fear of blowing the whole house. (it was built in the 40’s). Anyway, I’ve chatted enough to wear out your eyes, so I’ll close for now. Hope you are beginning to enjoy the Christmas Season!